Dr Michael Lange, Board Certified Optometric Physician and Certified Nutrition Specialist. Founder Lange Eye Institute. Dr. Michael Lange, has worked extremely hard at developing one of the top eye care centers in the country. Lange Eye Care and Associates was started on March 15, 1993 by Dr. Michael Lange. 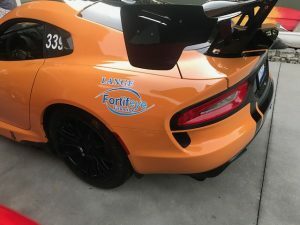 Ocala Florida was his very first location and the beginning of his dream to build a state of the art eye care center utilizing the latest in technology. He has developed eye care centers that use the very latest in optical, surgical, medical and nutritional intervention to help his patients. Lange Eye Care and Associates has had locations in Gainesville, Williston, Inverness, University of Florida Campus, West Ocala, Ocala, Downtown Ocala, Summerfield, The Villages, Tampa, Citrus Hills and Clearwater. Lange Eye Care had 17 optometric physicians and ophthalmologists on staff during that time. Dr. Michael Lange, the Ocala eye doctor, worked seven days a week, 18 hrs a day for the first ten years to build such an impressive organization of eye care specialists. Dr. Lange states, “If you work hard enough, long enough and truly have a passion for what you do, you will succeed.” He adds, “To be extremely successful it takes a lot of sacrifice as well”. In the spring of March 2016, he made the decision to sell all of the locations, except The Villages, Lange Eye Institute. 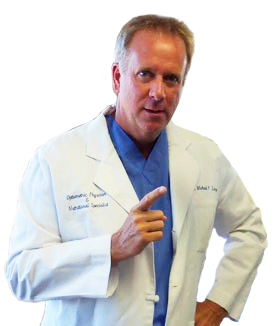 Dr. Michael Lange, has been hosting his live talk radio show called “Ask the Doctor” since April of 1993. This is a live call-in show that can be heard on multiple networks throughout the country and live video streaming at https://www.newstalkflorida.com/video/live-video/ throughout the world via the internet . This talk show is dedicated to you, the listener, and is all about educating the public about the latest in eye care and nutrition. Call him live on Saturdays Eastern time 9-10 am ,866-977-4820. One of Dr. Lange’s first degrees is in psychology. Dr Lange is also one of a select group of optometric physicians in the country that are certified nutrition specialists. The combination of psychology, eye care and nutrition enables Dr. Lange to tactfully handle just about any question that comes over the air. His unique gift of discussing even the toughest questions with patients from all over the country in easy to understand terminology has made him one of the most popular talk show hosts in Florida and around the world. Dr. Michael Lange, also has a degree in physiological optics that only enhances and further qualifies him to answer a variety of questions. He always states, “This is for educational purposes only and never replaces a comprehensive eye exam”. He lectures to doctors and the public on the importance of proper nutrition, dietary modifications and lifestyle changes for overall health and good eye health. When Dr. Lange is not seeing patients he is involved in many nutrition and eye studies. He is very interested in the area of absorption and bioavailability of specific nutrients that are good for the eye and total body health. Michael P. Lange, OD, CNS was not satisfied with the typical vitamins and omega three supplements that were available over the counter, so he started the Fortify Vitamin company in 2005. He has developed a line of vitamins for eye and total body health called Fortifeye Vitamins that are being recommended by health care providers worldwide. 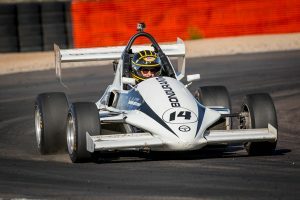 He has also developed a unique omega three supplement called Fortifeye Super Omega, a supplement to improve focusing ability, reduce eye fatigue and filter the harmful blue light from damaging the retina called Fortifeye Focus. Dr Michael Lange believes in helping the entire body to help the eyes and vice versa. He has also developed a line of enzymes, probiotics, protein powders and super blue greens drinks for total body health. Dr. Lange also developed the first zinc free macular degeneration vitamin called Zinc Free Macular Defense. 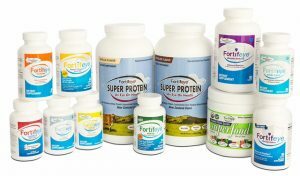 More information on the Fortifeye Vitamin line is available at Fortifeye.com. Early 2017 Dr Lange took over the majority ownership of Paleo Simplified a company that develops paleo energy bars and paleo granola for the worldwide market. He is in the process of researching and developing new products for this company and expanding their total reach. Dr Lange states ” this fits in perfectly with my philosophy of improving total health to improve ocular health”. 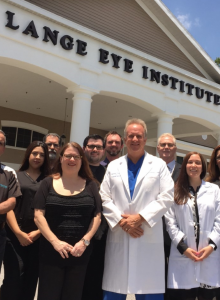 Dr Michael P. Lange, the Ocala eye doctor, has developed an organization with almost 20 doctors and well over 100 employees dedicated to enhancing lives through great eye care and proper nutrition. 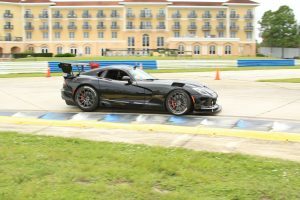 His exponential growth and extreme success has been written about in many nationally publicized magazines and he has actually been on the cover of quite a few as well. He sits as the chairman of the board of five other global eye related companies and is on the advisory board of many more. Dr. Lange is asked to be a speaker on practice management, nutrition, eye care and marketing all over the globe and travels the world doing research on eye related issues and nutrition. Regardless of this busy schedule, he states, “I always find time to spend with my family. Family is extremely important.” He loves doing things outdoors with his wife and children. 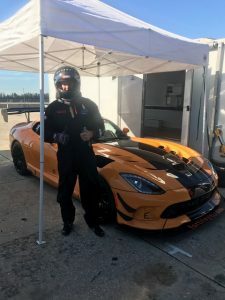 Dr. Lange is involved in automobile racing ( SCCA full competition license) motocross, mountain biking, cycling, white water rafting, canoeing, kayaking, snow skiing, water skiing, tennis and many other outdoor sports. He also tries to find the time each day to get 30 minutes of cardio and 30 minutes of weight lifting each day. 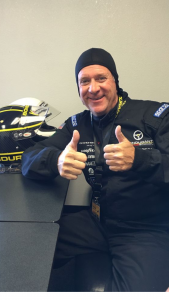 Dr. Lange states, “If I don’t practice what I preach then how credible would I be?” Dr. Lange’s most recent passion as of March 2017 is Formula and GT automobile racing. 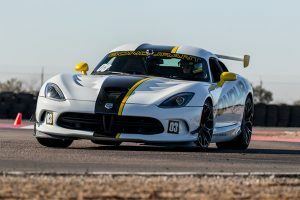 He is currently racing at tracks like Sebring, Daytona, Virginia International Speedway, NOLA speedway, Homestead/ Miami speedway, Road Atlanta, Barber speedway, Bondurant Speedway and many others. 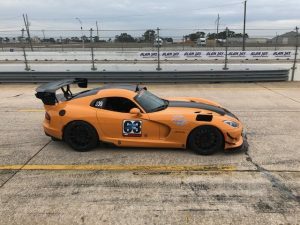 Dr Lange states you have to be in amazing condition both physically and mentally to handle a race car at top speeds for extended periods of time. I take the supplements I have developed and follow The Lange Diet plan as well. I do practice what I preach on a daily basis to my patients. 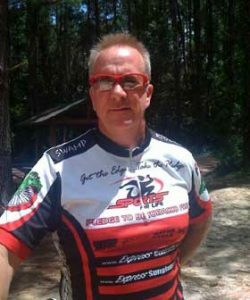 Dr. Michael Lange, Ocala optometrist and certified nutrition specialist, practicing what he preaches to his patients at the mountain bike park. 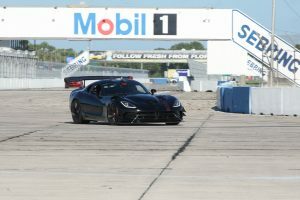 Dr Lange taking the hair pin in advanced class at Sebring. 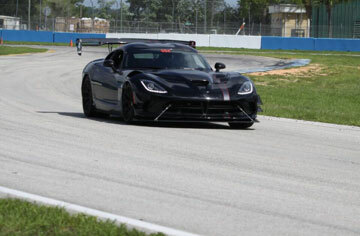 Dr. Lange cornering hard in viper with rear right wheel off the ground. 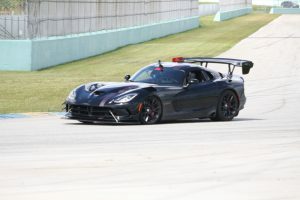 Dr Lange at Homestead/ Miami Speedway. 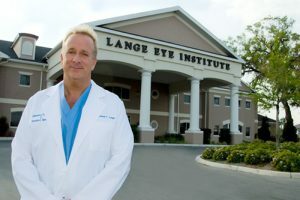 13 locations in Ocala, West Ocala, Downtown Ocala, Williston, Gainesville,University of Florida, The Villages, Inverness, Citrus Hills, Tampa , Summerfield and two centers in Clearwater, 2016 Dr Lange decides to downsize and sells all but The Lange Eye Institute. 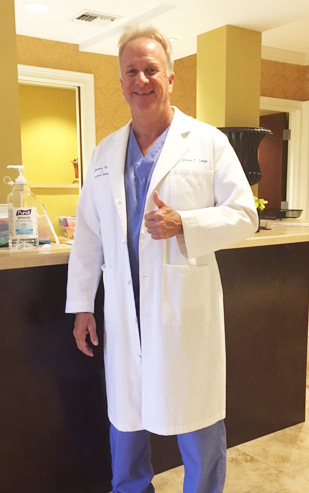 Dr. Michael Lange, Ocala eye doctor states that he is just getting started and is excited about what the future holds for eye care and for the health of his patients. He is constantly crusading to find better ways to provide a higher standard and quality of health care to the patients of Lange Eye Care. 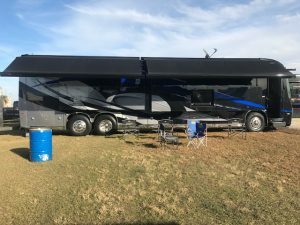 As of 2015 he had opened 13 locations in Ocala, West Ocala, downtown Ocala, Gainesville, The Villages, Citrus Hills , Williston, Inverness, Summerfield, Univ of Florida, and two centers in Clearwater. March 2016 Dr Lange reached an agreement to sell all but one of his eye care centers to a large corporate eye group . He retained ownership of The Lange Eye Institute in The Villages where he sees patients Monday – Friday. Dr Lange states ” I wanted a little more time to spend with my family and work more on R&D of nutritional supplements for eye and total body health” he also states ” I am still available to see any patients at The Lange Eye Institute in The Villages “. The Lange Eye Institute was awarded recognition as a select group of eye care centers as “Dry Eye Center of Excellence”. The Lange Eye Institute is also involved in DNA/ Nutritional studies for macular degeneration and starting an Alzheimers study in the summer of 16. The Lange Eye Institute has Opticians, Optometric Physicians and Ophthalmologists all under one roof. call 352 753 4014 for an appointment. Dr. Michael Lange founder and CEO of Lange Eye Care and The Lange Eye Institute pledges to his patients and the community. “If you want the highest standard of eye care available come to The Lange Eye Institute. We stay abreast of the latest changes and are constantly updating our center when newer or better technology is available. 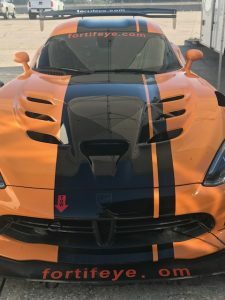 All of our doctors go above and beyond in the examination process and will go over each and every diagnosis and any treatment options available.” The doctors at The Lange Eye Institute also go above the mandatory amounts of continuing education yearly to ensure they are staying abreast of the latest changes. The Lange Eye Institute has the very latest in medical, surgical, optical and nutritional eye care. 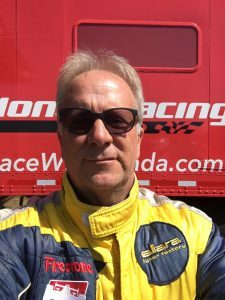 More information: Dr. Michael P. Lange is a Board Certified Optometric Physician and a Certified Nutrition Specialist who started Lange Eye Care and Associates in Ocala, Florida, in March 1993. Lange Eye Care had grown to 13 locations throughout the state of Florida with three Lasik centers. The Lange Eye Institute at The Villages in central Florida is home base for many of the nutritional studies that Fortifeye is involved in. Dr. Lange is one of the first doctors in the industry to utilize intracellular blood tests and blood absorption studies to improve the Fortifeye vitamin line. Dr. Lange travels the world for nutritional research gathering valuable information to continuously improve Fortifeye vitamin formulations. Dr. Lange is still involved in the clinical practice of eyecare. He is a guest lecturer, contributing author to many eyecare magazines, and a daily syndicated talk show host of ‘Ask The Doctor’ which broadcasts on these stations: 1440 AM WLWI News Radio – Montgomery, Alabama – Saturday 8am, 97.3 FM WSKY – Gainesville – Saturday 9am, 820 AM News Talk – Tampa Bay – Saturday 9am, 640 AM WGST-Atlanta – Saturday & Sunday 9am.